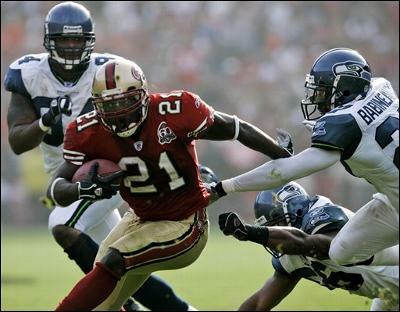 The 49ers have made running back Frank Gore a very happy and very rich man, coming to terms with their workhorse back on a three-year deal that will play him $13.5 million in guaranteed money and $21 million overall. Gore was due to earn $4.9 million in 2011, the final season of his four-year, $27.577 million extension from 2007. The 28-year-old running back is coming off a fractured hip that limited him to just 11 games in 2010 and ended the two-time Pro Bowlers streak of 1,000-yard seasons at four. Gore has also added 270 receptions for 2,283 yards and nine touchdowns during his six-year career. Agent Jason Rosenhaus said last night that Gore had agreed to terms on a new three-year contract extension that keeps him with the team through 2014. Gore said earlier yesterday that his primary agent, Drew Rosenhaus, had a productive, all-day meeting with team brass Monday. Gore said he instructed Rosenhaus to contact him when there was what he considered a “fair’’ offer on the table. 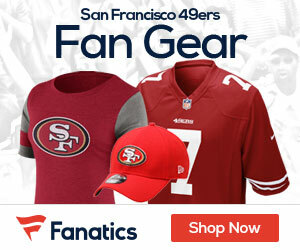 Be the first to comment on "Gore and Niners Agree on Three-Year Deal Worth $21 Mil"